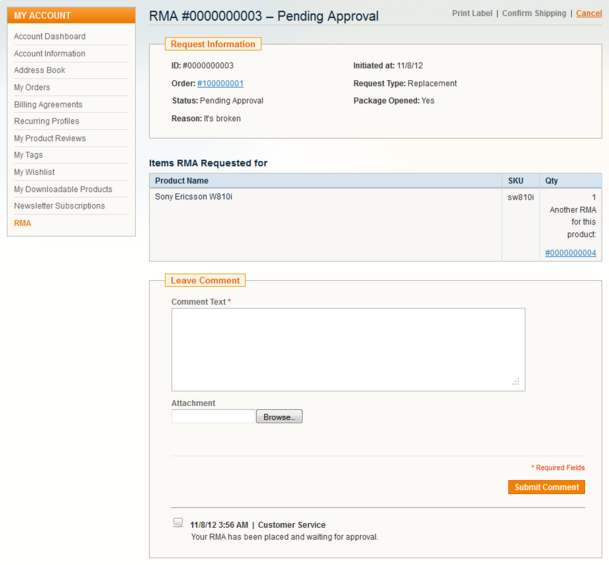 In one of my previous posts I have prepared a short walkthrough on how to use the RMA feature that comes with Magento Enterprise Edition. But what if you are using Magento Community Edition and you need to control return or exchange of items sold to customers? You’re not all lost. Over the past few days I have played with RMA extension by aheadWorks. Extension was tested locally on Magento CE (1.8.1.0) installation. Installation process is smooth and very well documented, so please, before you start with installation – read the documentation :-). After the initial setup and enabling the extension you will have full control over returning or exchange of items previously purchased by your customers. Now, it’s understandable that each client/store have their own policy of accepting and managing returned goods and how their processes work. This extension is very flexible and in most cases it will cover almost all such scenarios. Here is a list of extension highlighted features taken from their website. By default, there are two request types – replacement and refund. But if you need more (repair, credit for another product, or anything else), you can easily create them as well as new statuses and reasons in the backend. If your customers bought bundle products, they can select which components they want to return. Our Magento module allows store administrators to create return merchandise authorization requests for orders in one click from the backend. 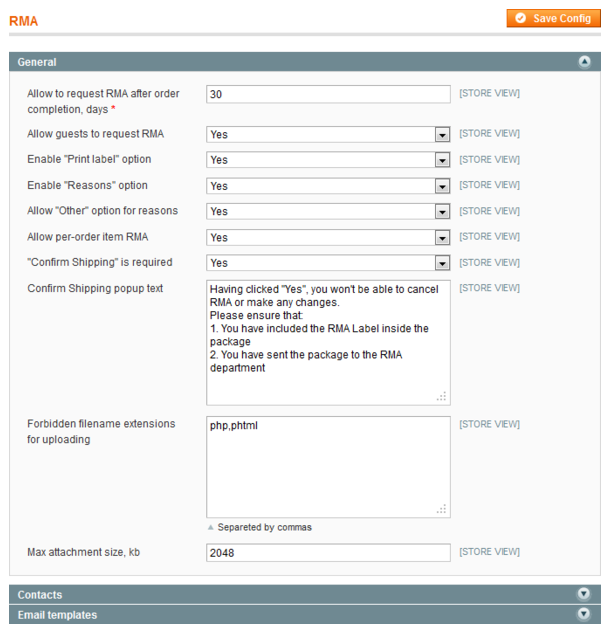 With the RMA extension, you can track and control the return or exchange of items sold to customers exactly on the Order page. This review is based on my personal opinion. Please consider this as a functional review as we didn’t analyse a code. If you are running your store on Magento CE and need RMA functionality enabled, this extension might just be the right option for you. And of course, make sure to test it out first in the development environment thoroughly before placing it on your live site. Do you know the status an order needs to have so that the customer is allowed to return it?